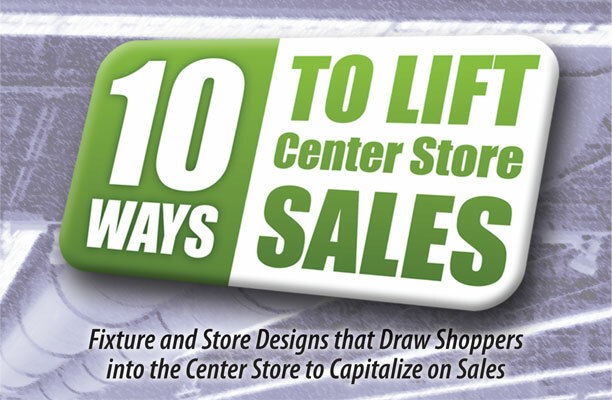 10 Ways to Lift Center Store Sales from Madix, Inc.
Madix, Inc. releases a topical break-down of how retailers can benefit from a center store makeover. Wondering how to restore the luster to your center store sales without blowing your budget? The answer may be easier and – more affordable – than you think. 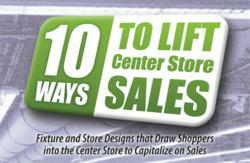 We have the top 10 ways to reinvent your center store shopping experience while boosting your overall sales and profits. Not only do long, straight and narrow aisles turn customers off, they serve as barrier to sales. Make aisles shorter, less linear and more appealing to put customers in a shopping mood. Shorter fixtures and recessed shelving are actually much easier to shop, allowing customers to more easily view and select products while not feeling crowded, cramped or rushed. Shoppers are turned off by crowded, difficult-to-navigate center store aisles and often times peek and run rather than enter and linger. Give them the same generous space often found on the perimeter of the store to move, stop and shop and watch their baskets fill up. The smart use of mobile fixtures throughout the store allows retailers to capitalize on opportunistic merchandising opportunities and easily adapt to meet customers' needs. Aisles between 15-30 feet in length form an optimum shopping environment. This is especially true when combined with shorter, less linear fixtures and staggered fixture placements that break up long visual sight lines and force shoppers to slow down, physically turn and pay more attention to shelving. Break away from traditional category product displays with specialty merchandisers such as t-racks or mobile caster kits. This allows retailers to present new ideas customers may not have thought about or form aspirational outcomes that incorporate multiple product categories. Not all SKUs are created equal, so why present low margin merchandise with the same vigor as one that delivers a high profit? Make smart use of in-store print, digital and video signage and fixtures to draw attention to the products you want to sell, not just the ones the customer came to buy. One-size-fits-all overhead retail lighting is easy to install, but it falls far short of creating the desired mood or ambiance for optimum sales results. Draw attention to where you want shoppers to go and what you want them to buy with the intelligent choice and placement of lights and lighting fixtures. Retailers can actually influence where shoppers travel within the store and their exposure to key product areas with an optimized traffic flow system. This includes everything from the design and placement of aisles, product sampling opportunities, demonstration stations, mobile displays and even the strategic placement of key product categories that force or entice customers to visit areas of the store where they might not have otherwise ventured. The power of end-cap displays are obvious in that they can constitute up to 30-percent of a store's sales while accommodating only two-percent of its inventory. By shortening and staggering aisles and incorporating modern display tools such as Y-Gondolas, curved shelving, pyramid and recessed shelving, highlight lighting, in-store marketing materials and mobile displays, retailers can easily double end-cap merchandising opportunities that account for a significant portion of its profits.